Capablanca, known for his elegant and brilliant style, transforms a lead in development into a brutal attack on a castled king. Capablanca manages to crush Reti, one of the strongest grandmasters of the day, in just 18 moves. This creates a pawn lever as preparation to d4. An aggressive move. Black must be careful now since his King is opened a bit. Reti grabs the center, but leaves the e-pawn hanging. Black continues to develop and pressures the center. A fancy move that takes advantage of the pinned knight. This move is still extremely dangerous. Black breaks the pin and attacks the White Queen. White could have captured the Knight, but thought it best to prevent Black from castling. Since he cannot castle on the king-side, Black prepares to castle on the other side. A discovered attack on the Queen. An unstoppable attack. Now the White Queen can no longer protect the queen side. White cannot stop Nxf3 threatening mate, and Rg8 with mate in a few moves. To view the game in PGN format, you may visit Reti vs. Capablanca. The King's Gambit was one of the most popular openings for over 300 years, and has been played by many of the strongest players. The opening starts with 1. e4, e5; 2. f4 .... If Black takes the f4 pawn with 2. 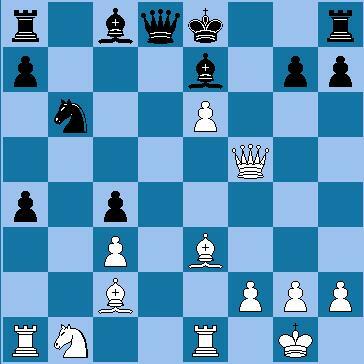 ... exf4, the opening becomes King's Gambit Accepted. The Cunningham Defence (3. Nf3 Be7) is Black's most aggressive option; it can permanently prevent White from castling after 4.Bc4 Bh4+ 5.Kf1 (else the wild Bertin Gambit, or Three Pawns' Gambit, 5.g3 fxg3 6.0-0 gxh2+ 7.Kh1, played in the nineteenth century). In modern practice, it is more common for Black to simply play 4. ..Nf6 5.e5 Ng4, known as the Modern Cunningham. The Classical Variation arises after 3.Nf3 g5, when there are two main continuations, 4.h4 (the Paris Attack), and 4.Bc4. After 4.h4 g4 White can choose between 5.Ng5 or 5.Ne5. 5.Ng5 is the Allgaier Gambit, intending 5...h6 6.Nxf7, but is considered dubious by modern theory. Stronger is 5.Ne5, the Kieseritzky Gambit, which is relatively positional in nature. 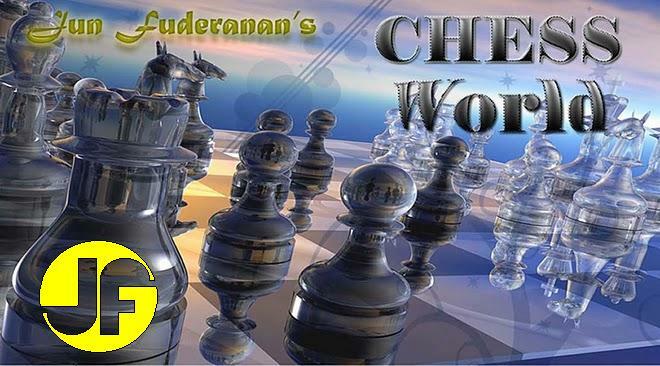 It was used very successfully by Wilhelm Steinitz, and was used by Boris Spassky to beat Bobby Fischer in a famous game at Mar del Plata during the year 1960. Instead of 4.h4, the extremely sharp Muzio Gambit arises after 4.Bc4 g4 5.0-0!? gxf3 6.Qxf3, where White has gambited a knight but has three pieces bearing down on f7. Such wild play is rare in modern chess, but Black must exercise care in consolidating his position. Black can avoid the Muzio by meeting 4.Bc4 with 4...Bg7 and ...h6. White's best course is now 6. Bc4, keeping Black occupied with the threat to his King Bishop Pawn. Instead, White plays an inconsequential developing move which allows the initiative to pass to Black. Black protects his advanced King Bishop Pawn and opens a line of attack on White's weak King Rook Pawn. Threatening to win a piece by 11. ..... f3+, 12. Kd3 fxe2, 13. Bxg5 exd1=Q+, etc. And now Black has 12. .... Nb4+, 13. Kd2 f3+ in view. Black is carried away by his enthusiasm. Apparently he is ashamed to play the more levelheaded 13. .....Kd8. He might just as well have captured the Rook, since otherwise the Knight's expedition is labeled as futile. On 17, Kxe4 Black can play 17. .....Re8+!, 18. Nxe8 Bf5 mate. Nor is this the only winning method. But after 17. Kc4 Black announced a forced mate in nine!